Former president Maumoon Abdul Gayyoom confirmed on Thursday that he would not form an alliance with any party outside of the current ruling coalition partners. Maumoon's statement comes amid rumors of disputes within the coalition that may threaten its alliance. 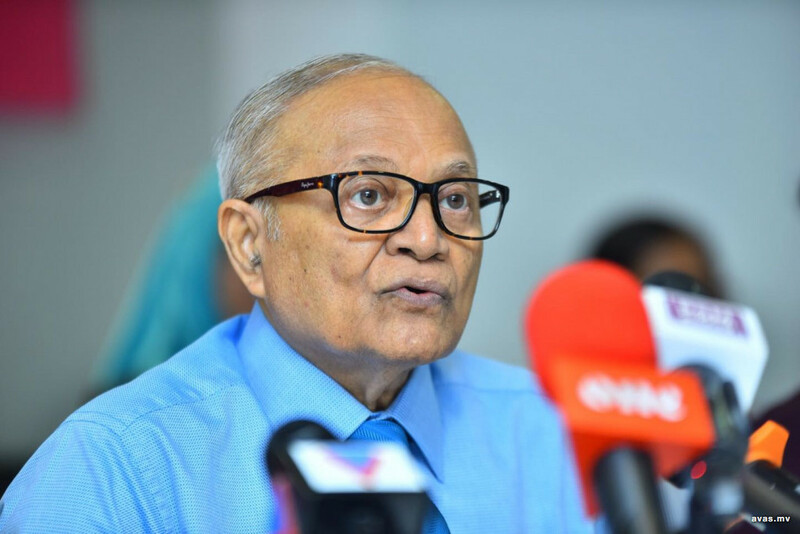 Speaking at a press conference following the ceremony held on Thursday to announce his intent to form a new political party by the name 'Maldives Reform Movement' (MRM), Maumoon said his resolve and persistence in working to maintain the coalition is unwavering. "It is my wish that the unity of the current coalition is maintained. I have and am working towards it. Even with the current issues regarding the dividing up of parliamentary constituencies for the polls, I am trying my utmost best by speaking to the leaders, however, we have not been able to resolve the dispute thus far. However, I will not stop my efforts, I will continue my work", said Maumoon. Maumoon stressed that he would continue to work with the coalition partners, and will accept and respect the decisions made after discussion with the parties. He would not consider working with any party outside of the coalition circle, insisted Maumoon. Maumoon noted that he was unable to sign the agreement between coalition partners regarding the strategy to tackle the parliamentary polls as he was jailed at the time of the agreement, however, he fully supports what was separately signed between the remaining members and President Ibrahim Mohamed Solih. In the agreement signed between the coalition partners ahead of the presidential election last year, it was decided that MDP will contest for 35 seats while Jumhooree Party, Maumoon Reform Movement and Adhaalath Party will contest for 22, 17 and 13 seats respectively. However, Maldivian Democratic Party (MDP) refused to acknowledge the existence of such an agreement, and decided at its National Council to contest for all 87 constituencies in the parliamentary election, triggering dispute among the coalition. Maumoon noted that MDP refused to acknowledge the agreement as the signatures of all four partners were not inked on the agreement, due to Maumoon's absence. However, Maumoon believes the agreement to be valid, and noted that both MDP and Jumhooree Party have now violated the agreement, with MDP contesting for 86 constituencies while Jumhooree Party contesting for 36 seats. Therefore, MRM can now decide to contest for any number of seats and is not restricted to 17, pointed out the former president. MRM is currently working on deciding the candidates who would represent them in the parliamentary polls in April. Maumoon reiterated that he is still ready to sit down and discuss the issues within the coalition and is waiting for an invitation for a discussion. He is confident that the remaining members of the coalition are of the same stance.